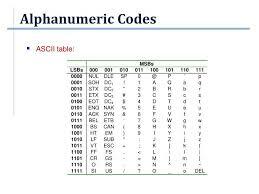 Computer registers are designated by capital letters (sometimes followed by numerals) to denote the function of the register. 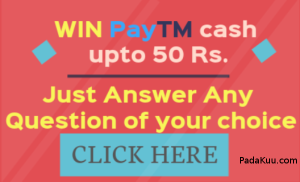 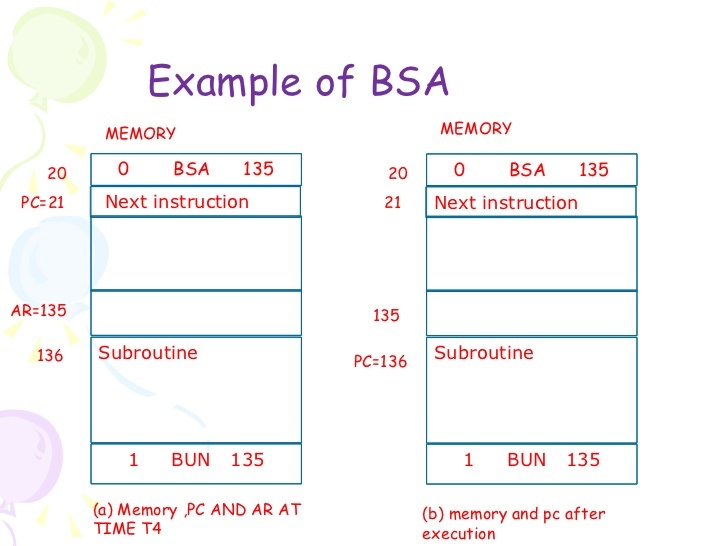 For example, the register that holds an address for the memory unit is usually called a memory address register and is designated by the name MAR. 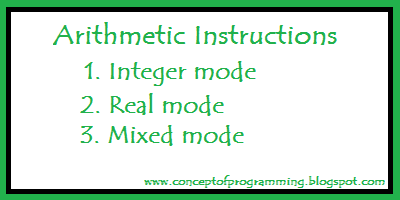 To implement the add microoperation with hardware, we need the registers that hold the data and the digital component that performs the arithmetic addition. 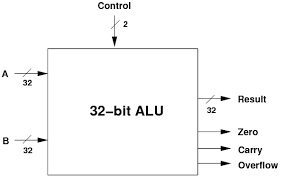 The digital circuit that forms the arithmetic sum of two bits and a previous carry is called a full-adder . 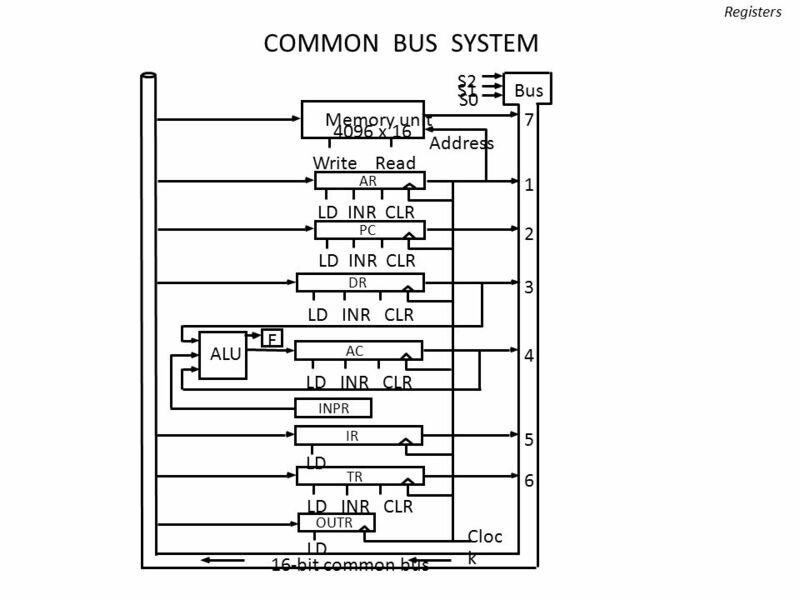 A bus system can be constructed with three-state gates instead of multiplexers. 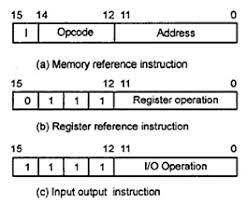 A three-state gate is a digital circuit that exhibits three states. 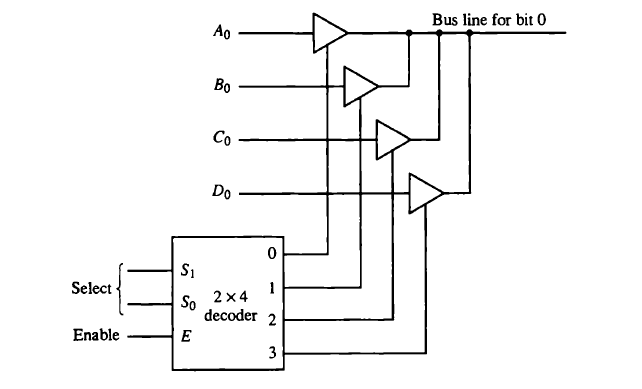 Two of the states are signals equivalent to logic 1 and 0 as in a conventional gate. 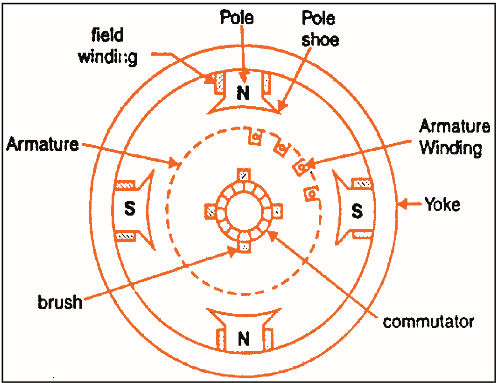 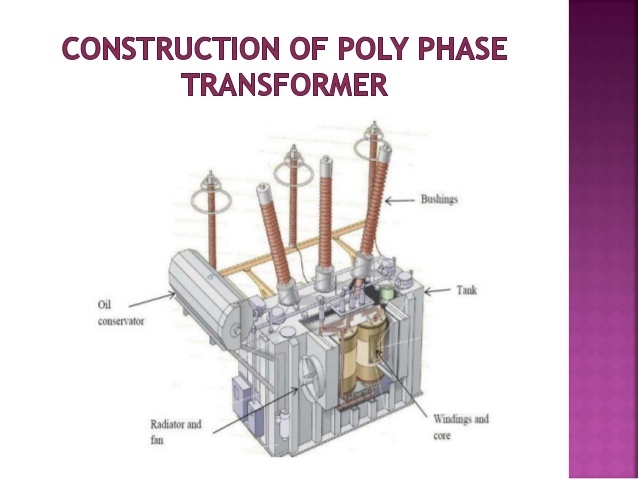 The third state is a high-impedance state. 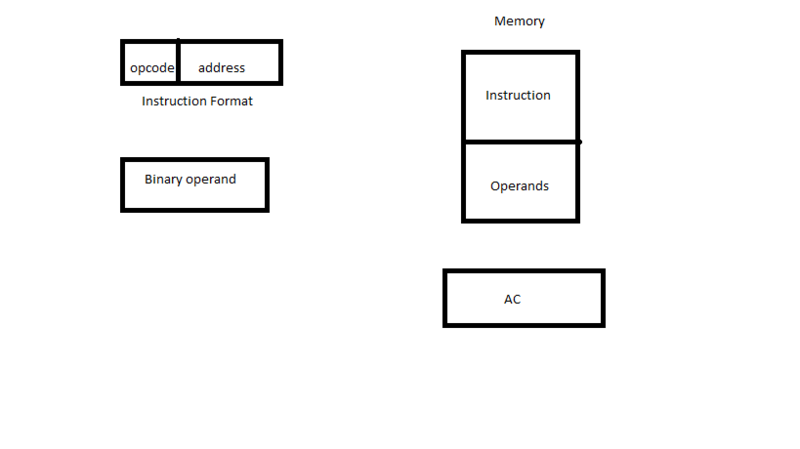 The basic computer has eight registers, a memory unit, and a control unit. 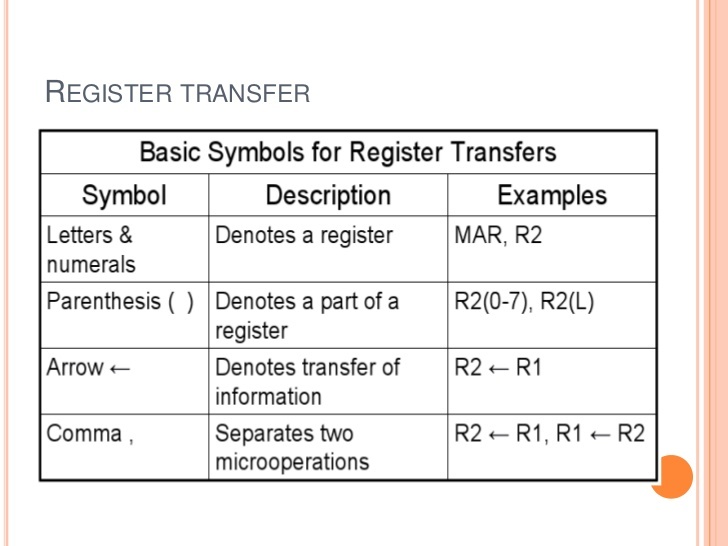 Paths must be provided to transfer information from one register to another and between memory and registers. 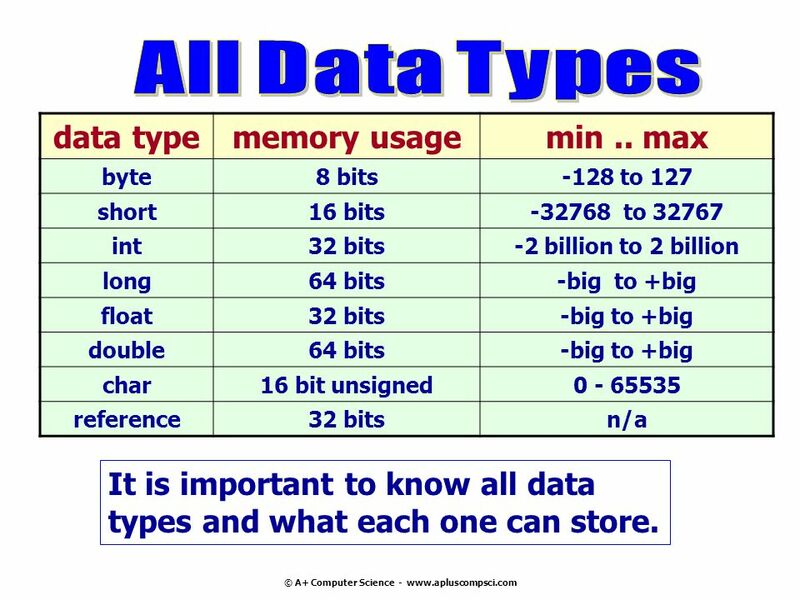 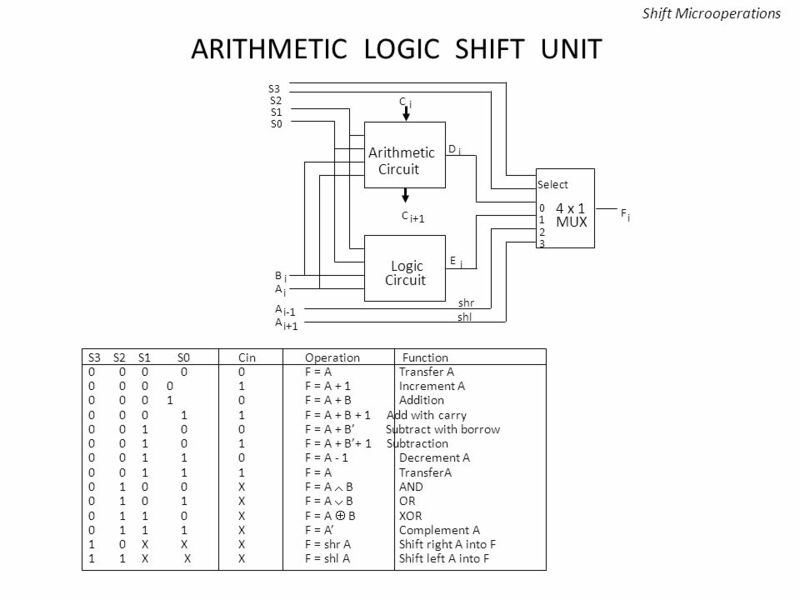 Instead of having individual registers performing the microoperations directly, computer systems employ a number of storage registers connected to a common operational unit called an arithmetic logic unit, abbreviated ALU. 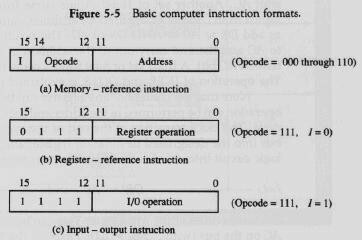 The selective-set operation sets to 1 the bits in register A where there are corresponding 1's in register B. 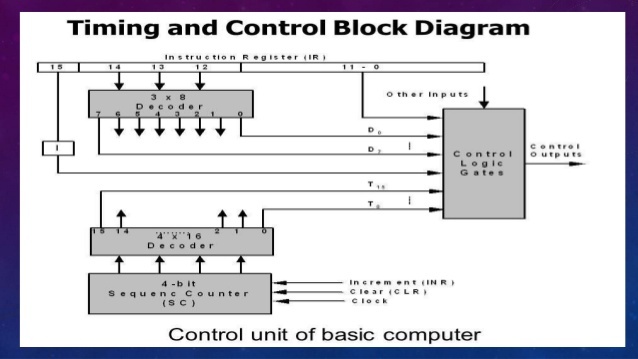 It does not affect bit positions that have D's in B. 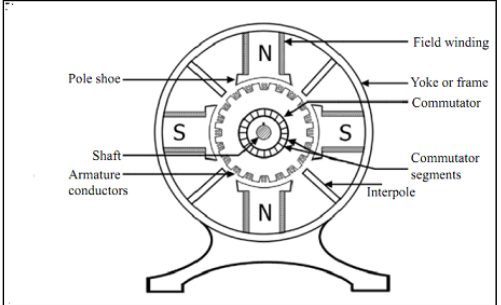 The following numerical example clarifies this operation. 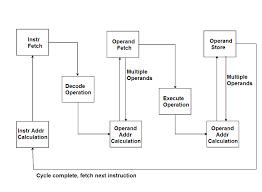 Logic microoperations specify binary operations for strings of bits stored in registers. 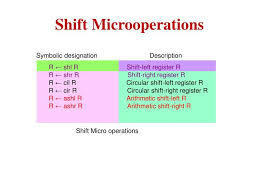 These operations consider each bit of the register separately and treat them as binary variables. 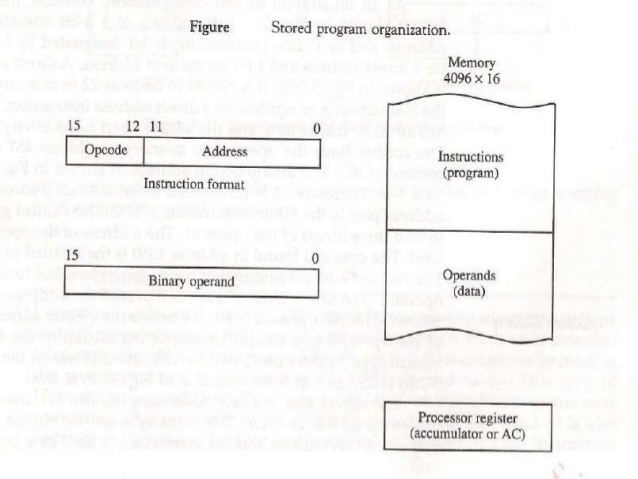 For example, the exclusive-OR microoperation with the contents of two registers . 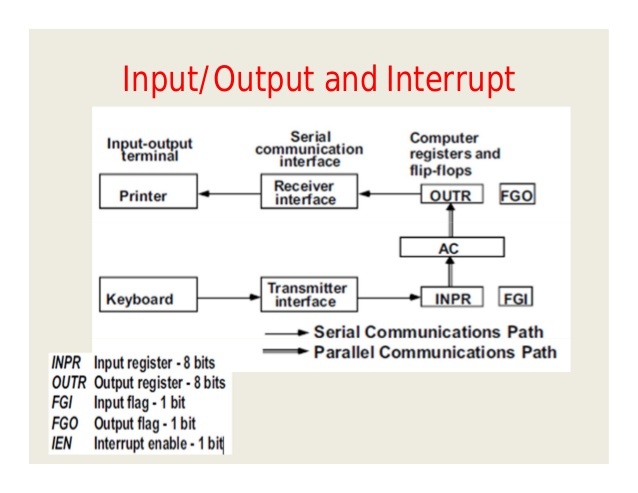 where P is a control signal generated in the control section. 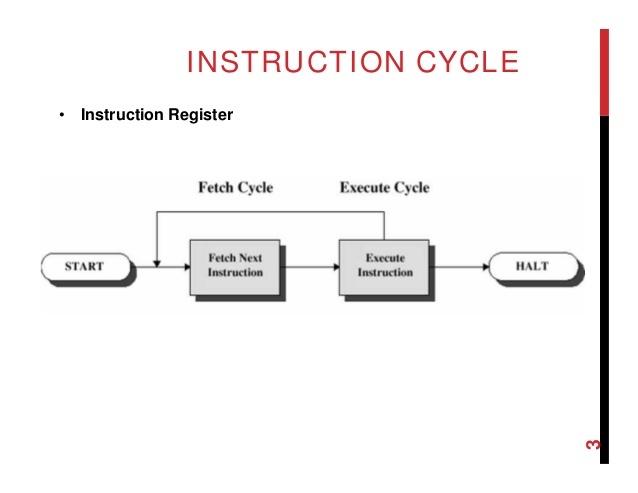 It is sometimes convenient to separate the control variables from the register transfer operation by specifying a control function. 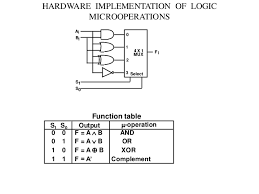 Logic microoperations are very useful for manipulating individual bits or a portion of a word stored in a register. 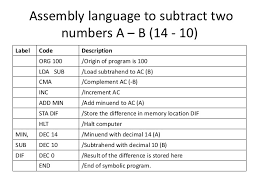 They can be used to change bit values, delete a group of bits, or insert new bit values into a register.